The Orion SkyQuest XT8 Reflector Telescope combines powerful optics with a simple and stable mechanical design. Look no further, the Orion XT8 offers you way more than you could have imagined, and indeed will more than open you mind to a whole new realm. This telescope features a brilliant precision 200 mm parabolic primary mirror housed in a sturdy blue metallic optical tube, and designed for optical clarity. Therefore you get fantastic optical performance at a bargain price. Rest assured this telescope is not a toy! This a serious instrument, and quite a large device, but it comes mounted on an ultra stable Dobsonian base frame that makes it easy to adjust the platform so that you can track your chosen object and always stay in brilliant sharp focus. 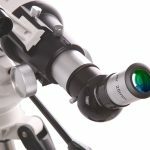 The challenge for any astronomer is the ease of the point and view capability, and this device offers a high quality of optics, and the mounting base frame will make you look like a professional. In fact you really will look like an expert with this excellent telescope. Be the envy of all your friends with this professional looking device, and for those who have never experienced such a clear view of the heavens, this device certainly has the magnification to inspire, awe and surprise both beginner and seasoned astronomers. As is typical with Orion telescopes, setting up is very simple, the Orion XT8 is a relatively compact, yet powerful telescope. You can set it up by yourself with no trouble at all, and you can maximise your viewing pleasure by taking this telescope with you wherever you can find a suitable vantage location. This could be from the convenience of your own backyard, or a remote, quiet mountain, because the Orion XT8 is ideally suited to transport and can be easily set up wherever you choose to enjoy the views of the planets, and stars and beyond. On occasion and to ensure the best optical clarity, the Orion XT8 requires collimation adjustments for peak optical performance. In order for everyone to be able to handle this important task with no hassles, Orion have made collimation of the XT8 very simple, by providing thumbscrew adjustments on the primary and secondary reflector mirrors so you can adjust alignment (ie collimation) without using tools. Orion have made it simple for you to enjoy astronomy, and not spend the evening messing around with the telescope. Further evidence of the Orion design philosophy is the alignment and adjustment of the telescope itself. Adjustable tension knobs on the altitude axis allow you to focus on the celestial object through the XT8 without the telescope losing focus. The very impressive dual -speed Crayford focuser with a super fine focus lets you dial into viewing the sharpest details of your target, without the hassle of losing focus and wasting too much time doing the mundane tasks such as target finding and alignment. The most impressive aspect of the Orion XT8 telescope is that the astronomer can stay focused on the target, and not have to worry about the instrument. Don’t forget the additional items that are included in this deal. Easy to use collimation adjuster cap so that you can keep your instrument in perfect alignment for the peak optical performance. The Orion XT8 reflector telescope is simply fantastic value for money, and offers you serious optical performance, as well as a relatively compact and portable device. 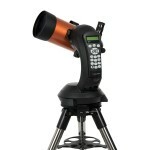 Be the envy of all your friends, with this smart looking instrument, which is impressive looking, but also easy to setup, easy to use, and simply awesome to study brilliant views of the moon, the planets, our neighboring stars, and even distant galaxies and star nebulae. I strongly recommend the Orion XT8 for beginner and experienced astronomers. 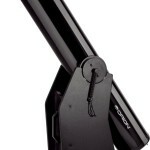 Click Here for a closer look at the Orion XT8 Reflector Telescope at Amazon. Read more about the independent and best telescope reviews, here at Telescopehub. No one can refuse from the quality of this telescope! 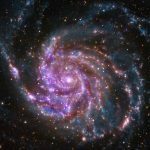 I came across your Orion SkyQuest XT8 PLUS Reflector Telescope Review | Telescope Hub website and wanted to let you know that this is one of the most powerful telescopes for amateur astronomers. 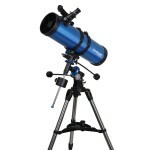 This is one serious telescope – great quality steady optics, and fantastic images. You almost need sunglasses to look at the moon with this incredible magnification!